Any visit to London would not be complete without stopping by the venerable Fortnum & Mason store in Piccadilly. 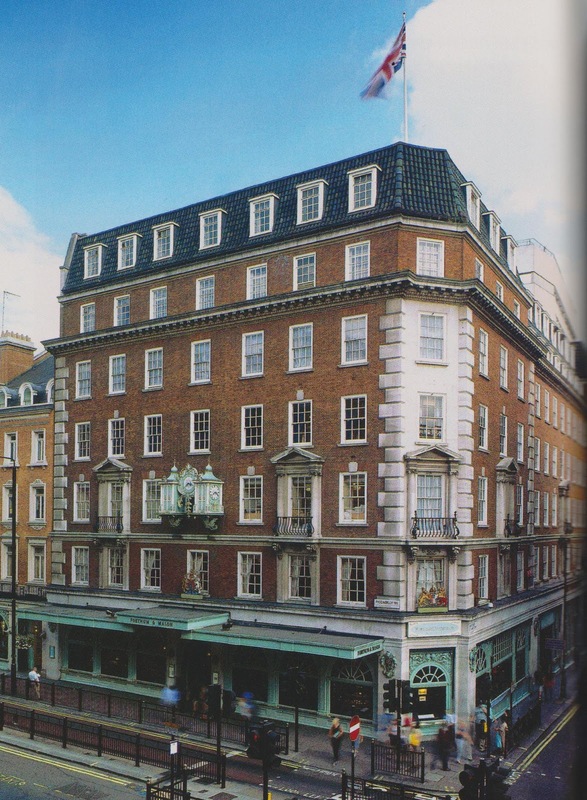 Serving customers since 1707, the dealer in luxury goods is especially known and admired for its food selection. The new book Fortnum & Mason: Honey and Preserves offers a delightful look at the process of making preserves and honey, and also plenty of recipes using both substances to make a wide variety of delicious dishes. 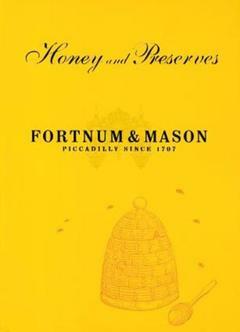 The book begins with a lovely overview of both Fortnum & Masons, and the history of preserves. Known since the middle ages, when it was called "stuff," preserves have been used to liven up an otherwise bland diet. Still, it was difficult to keep any food fresh for very long, until 1809, when the Frenchman Nicolas Appert won a prize from the French government for his discovery of how to preserve food to keep it fresh for transport and storage. 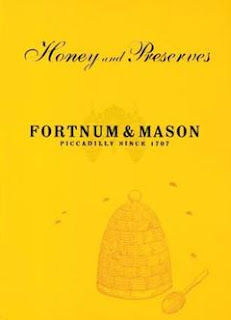 Fortnum and Mason has been selling different types of jams, jellies, chutneys, pickles and honeys for over 300 years. In the mid 19th century, they began selling their own range of preserves. The history of the company is very much tied in with the history of the British empire. Travellers to exotic foreign lands brought back a variety of new spices, fruits and flavors that quickly became sought-after in general society. Fortnum & Mason incorporated these new tastes into numerous popular new creations. Everything was going quite well until the war-time rationing of sugar (and the frequent torpedoing of ships carrying fruit) meant that supplies for creating the jams and other delicacies were in short supply. The creative folks at Fortnum & Mason just continued on with what they had, creating jams using cheaper fruits (such as apples and plums) and using such things as raisins for sweeteners. In the first decade of the 21st century, the idea of rooftop bees was put into place, with a palatial hive built to exacting specifications. After dallying with some inferior foreign bees, it was decided that the hardy and industrious Welsh Black bees should be used instead, and they have not disappointed. However, the honey is only harvested two times per year, so it is not easy to secure a batch before it's sold out. You can watch the activity of the bees on one of two "beecams" on the website (although they weren't working when I checked. Maybe the bees' lack of activity in the wintertime necessitates a camera hiatus until spring!). The majority of the book is taken up with delicious recipes, many accompanied by lovely color photos of the dish involved. 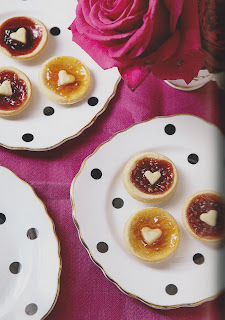 The recipes are divided into Light Bites & Starters, Main Courses, Puddings, Bakes and Preserves. Some of the recipes included are Lemon and Lime Cheesecake, Beef and Stout Puff Pastry Pie, and Warm New Potato and Spinach Salad. Yummy! Most, but not all, of the recipes include a specific Fortnum & Mason product. I can't wait to try some of them out, even if some of the recipe instructions are a bit puzzlings. In one, for instance, we are instructed to "gradd the remaining milk." Is that a mis-print, or some new word that means (I think) "gradually add"?? I was also puzzled as to what a "marrow" is, but it seems to be a generic squash. It's interesting to read the recipes, although I'm sure my own versions won't be nearly as pretty as the ones in the illustrations! I found the book to be lovely and quite informative. If you've ever wondered about jams, jellies, mustards and piccalillis, and how they came to be on our tables, you will enjoy this little gem! Disclaimer: I received a review copy of the book from the publisher, Trafalgar Square Publishing.